Are they spying on us illegally? Yeah, however this type of spying wouldn’t be admissible in court. Therefore, the legal type spying that would need to have data admissible in court would have had to be approved by the FBI first, then the FBI would need to have FISA approved by a judge, and then and only then would the data collected be admissible in court. For Trump to say Obama spied on “me” without proof or without a court approved FISA is Ludicrous, and has Ron Paul pointed out in the clip, if Trump was spied on illegally then it’s not as if there is a paper trail! Honestly, I chalk this up to another Trump Twitter mess after watching another Fake news story on Fox News in the early morning. Get the right judge, and they will allow the evidence into court via inevitable discovery or some other legal work around. My guess is Trump’s people realize that the intelligence agency seems to know a lot about their phone calls – so Breitbart and InfoWars speculates about Obama wiretapping and then Trump hears this and as you say has a twitterstorm. Of course the intelligence community knows everything that has been said over the phone. You would think Trump and his advisers would know better than to think no one was listening in on them. — Sure, I think this goes without saying, however the Judge still needs some sort of “proof” from the FBI in order to approve a FISA, therefore either Trump was subject of a criminal probe involving his Trump Server, which BTW has a direct line to a Russian bank, or he was spied on illegally, which he will have a difficulty proving since as Ron Paul stated there will likely be no paper trails. What most people seem to be missing here, is that Trump singled out Obama has the culprit that had his phones wiretapped, which btw means Obama would have had to ask the FBI and then get it APPROVED by a Judge!!! All Trump had to do is pick up the phone, and ask the FBI Chief if he was indeed wiretapped, but instead took to Twitter without fact checking… very Presidential! Oh – Trump is a clown here. He just singled out Obama in a fit of rage/embarrassment. He is a child and reacts accordingly. The direct link btw the Trump Server and the Russian bank is the key to whole Trump/Russian connection. It is not some unproven Russian hacking of the election – sure Russia would be motivated to, but there has been nothing even resembling evidence provided (and if Russia did hack, I think NSA would have evidence). The real story is the financial connection between Trump & Russia – follow the money. It was back in like 2008 when – was it Trump’s son? – said they had a tremendous influx of money from Russia. Its all about the money. I tend to agree with you, which would also explain why Trump doesn’t want to release his tax returns, it would reveal his Russian business dealings. He should just come clean and say here’s my taxes, this is what it is, I’m still gonna work with Russia when it comes to Syria, however regarding Ukraine and Crimea this is another subject all together that should be dealt with separately, but of course this isn’t gonna happen. The commentary from Tim Clemente I also saved. On the surface (or sub-surface) it fits this model: everything is collected, but one supposedly needs some kind of right and proper court authorization to go and look at it, and this only happens very carefully in serious matters of national security of probable criminal cause. FBI/Security skeptics like myself know better. The FBI looks and uses whatever it wants, and secretly takes the position that a) the burden of proof is on the outsider to show that they did anything wrong, b) they will use criminal and dirty tricks to prevent being shown in the wrong, with the magnitude and strength of those tricks escalating when more serious venues and demonstrations of wrongdoing are in offing – e.g. the long list of witnesses close to the JFK coverup who died suspiciously, as well as Mr. Corbett’s work on Terrance Yeakey and Deborah Palfrey, c) whatever is learned through illegal surveillance can be used for either triggering “the start” of real investigations, blackmail, or leaks. In that context, I would put a slightly different spin on the Trump allegations because not only did the surveillance happen, but it is be used for leaks and being used in public to imply that Trump is indeed guilty of something – c.f. this Robert Reich editorial where he claims that the exhaustive set of responses to Trump claims are either a) accusation of mental disease, b) the position that the NYTimes and other pubs didn’t say what they said – c.f. http://in-march.beforeitsnews.com/opinion-conservative/2017/03/same-ny-times-reporter-said-trump-team-was-wiretapped-in-jan-but-said-trump-lacked-evidence-in-march-3257323.html or c) that a proper warrant was obtained in FISA and therefore Trump or his campaign did something pretty bad. 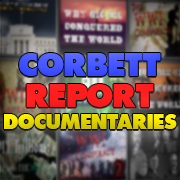 In summary, I feel that the Corbett fan perspective should be not just on the collection of all digital info, but also on how that info is being used and discussed, publicly and privately. That would make sense, however…. 1- It was Trump that Twitted about this in the first place! It wasn’t leaked, he brought it about himself. 2- All Trump had to do, is call Comey (Head of the FBI) and simply ask: was I spied on? He is the President after all. 3- Why accuse Obama directly without providing any proof, and on Twitter no less? Trump basically threw Comey under the bus, indirectly accusing him of breaking the law. How is this good for anybody? Somebody needs to monitor his twitter, kinda like a 2 minute TV delay, or something. …They are wiretapping everyone, and they don’t need paperwork or special signed orders to do it. Was it a FISA court ordered wiretap, or was it the illegal kind of wiretapping which don’t need paperwork or special signed orders to do it? If it was the illegal kind, then how in the hell did Trump find out about it, and how does he know it was ordered by Obama and not someone else? Legal or illegal is not the issue. It happens regardless. Everyone is being spied on in one way or another, by the government and by corporations. We are “owned”, treated as property. I am incensed how Microsoft hijacks everyone with their “new WORD and computers”. Or Facebook or Apple or YouTube or Google or Fake-MainStreamNews or…. Ha ha- remember Gary Oldman in The Professional? EVERYONE!!!!! 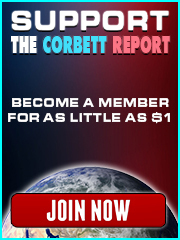 A psy op foreshadowing this Corbett Report video perhaps? Keep up the great work as always James. I’m shocked to find spying going on hear. James, Thanks for choosing a decent picture of D Trump. The MainStream Media have a affinity for Buffoonish Pictures of Donald all the time, its like they cant get him to pose with a solemn face at all …. Ever!! « The Least Trustworthy Source in the Media?